He Said Magazine is among the top 50 gay and lesbian websites and blogs in the world, ranking in the top 25,000 of all websites in the U.S. He Said features tips and reviews on travel, food and shopping as well as a witty blog with commentary on the week’s biggest events. 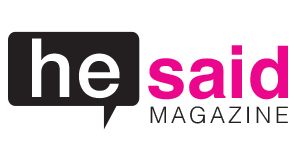 For more info, visit www.hesaidmag.com.